Learn important front office, back office, and clinical EHR skills — all from one book! Using detailed pictures and easy-to follow explanations, this helpful resource teaches you how to perform a wide range of tasks using modern medical office software and electronic health records (EHRs). Specifically, you’ll learn how to add new patients, schedule appointments, contact providers, discharge patients, process referrals, bill, code, process refunds, chart patient data, and much more to fully prepare you for work in today’s medical office environment. Includes online access to Medtrak Systems. Start-to-finish overview of the medical clinic workflow provides a step-by-step guide to the patient process, from check-in to check-out, and everything in between. Access to MedTrak — an online electronic health record (EHR) and practice management program. Four appendices with case studies offer extra practice in four designated areas of the medical office: Front Desk, Clinical, Administrative and Charting, and Billing and Coding. 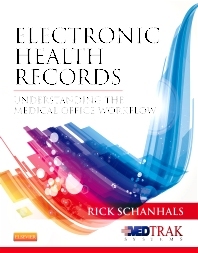 Introductory chapter on the Electronic Health Record presents great background information on the history and other important information about the electronic health record. Do This! boxes feature clear, concise instructions to effectively and successfully work through the book without getting overwhelmed and anxious about working with the software. Built-in checkpoints throughout the book ensure that you are completing the right steps and in the correct order. Screenshots throughout every chapter provide a great visual demonstration of the step-by-step set-up of this book. Chapter on Refunds discusses some of the nuances that is associated with patient billing, providing a helpful practical approach to how real-world medical offices function.